Customer experience runs through so many different touchpoints, it’s time marketers take charge of the breadth of view of the organisation and break up silos that might exist, according to senior editor of Asia-Pacific’s Intelligence Unit at the Economist, Charles Ross. 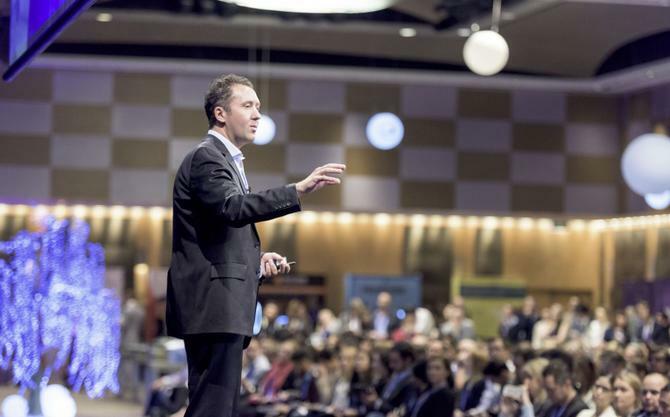 Speaking at Marketo’s Marketing Nation Roadshow 2015 in Sydney, Ross said it's not the CFO that should be taking care of the analytics, or the CEO taking care of the customer experience alone, it should be marketers. In a recent report by the Economist Intelligence Unit, commissioned by Marketo, three quarters of respondents agreed the structure and design of their marketing organisation will need to change over the next three to five years. The survey, conducted with 660 senior marketers and CMOs around the world, including 92 from Australia and New Zealand, revealed the significant shift towards driving customer experience and engagement. The report found increased engagement with customers will increasingly come from the use of data. While 42 per cent of A/NZ respondents said they weren’t using data to gain customer insights, less than a quarter expect that to be the case in the next few years. However, customers don’t have it all their own way, Ross said. What comes with a customer-led economy, the use of mobile devices and the way consumers use their products and services, provides data. “This data can be captured and analysed to create actionable insights and can really drive strategy,” Ross said. “That’s where the real value is going to be and that’s where it’s going to be really exciting going forward." The Economist’s worldwide survey also showed the extent to which technology is being used to engage customers in an ongoing conversation that builds advocacy and trust around a brand. Two-thirds of A/NZ marketers said they already use technology in this way, compared to 58 per cent in the rest of the world, with a further 18 per cent expecting to over the next three to five years. “Technology has created so many valuable touchpoints that businesses can have with their customer and yet so many companies miss out on these opportunities,” Ross commented. “It’s really powerful the way customers with social media and word-of-mouth can now quickly amplify that missed opportunity, so it is important companies really do not miss out. CEOs don’t mind spending big on marketers, as long as you are accountable, Ross said, and recognise that the investment really works. “They know it can really drive a company, because it has been shown companies with advanced revenue and marketing capabilities are 30 per cent greater than average,” he said. CEOs also recognise investing in marketing is a key foundation for growth, Ross claimed, as you get a greater return on your investment than traditional investment in capital or factory equipment. “A lot of the research points to the fat that investing in marketing, if you get it right, can provide real value and real growth,” he said. Ross claimed many companies still don’t know how to restructure their organisation to really leverage their customer data insights.